The UNP yesterday succeeded in turning the tables by winning the Mayoral positions of many Local Government bodies which were won by the Sri Lanka Podujana Peramuna (Pohottuwa) at the last Local Government election. 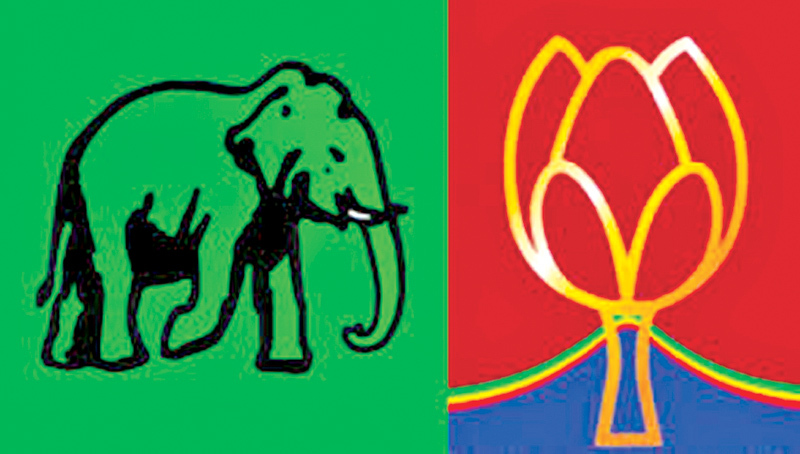 UNP candidates were elected as head of Local Government institutions in Tangalle and Aranayake though the party lost the council at the last Local Government election. Even though the Sri Lanka Podujana Peramuna (SLPP) had won 14 wards in the Aranayake Pradeshiya Sabha at the recent Local Government elections, Nihal Seneviratne was elected as the Chairman during the secret voting held recently at a meeting presided by Sabaragamuwa Local Government Commissioner B.A.C.P.Bamunarachi at the Pradeshiya Sabha auditorium. Laksiri Aluthwatta of the UPFA was elected as Vice Chairman. SLPP candidate for Chairman W.Jayaratne received 14 votes while the UNP candidate Nihal Senaratne received 16 votes and got elected. The SLPP proposed the name of Shantha Cyril Kumara for the Vice-Chairman position while the UNP proposed the name of UPFA candidate Laksiri Aluwatta. Since both candidates received an equal number of votes in the open vote, the Commissioner had to draw lots to pick the Vice-Chairman and Laksiri Aluwatta carried the day by drawing the winning number. Ravindu Wedaaracahhi representing the UNP was elected as the Chairman at the Tangalle Urban Council which the SLPP won at the LG elections. UNP candidate Mohommmed Riaz was appointed as the Vice-Chairman. The candidate of the SLPP, Wimal Hewa Dunuwila received the same votes as Ravindu Wedaarachi, but was unable to select the correct number from drawing lots securing the position of the Vice Chairman. The four candidates of the JVP and the UPFA abstained from voting when electing the Vice Chairman. The UNP secured victory of the Dehiwala – Mount Lavinia Municipal Council with 36,935 votes and the SLPP managed to obtain 36,025 votes. Both the UNP and the SLPP secured 19 seats each for the council while the UPFA got 6 seats and the JVP acquired 4. The election of Mayor and the deputy was held yesterday morning, presided by the Commissioner of the Urban Council. Four UPFA members voted for the candidate of the SLPP while the rest voted for the UNP candidate. The members of the JVP abstained from voting. Therefore, Stanley Dias was appointed as the mayor of the Dehiwala – Mount Lavinia municipal council. Keerthi Udawatte representing the UPFA was appointed as the Deputy Mayor with 25 votes while the UNP representative Sunethra Ranasighe got 19 votes. Eventhough the UNP won the electorate during the LG elections, the party could not reserve the seat of the Mayor.